This is Part 3 of our Roof Prices Guide. There are 3 or 4 major types of flat roof materials that you can find on the market today. Additionally, there is a HUGE difference between commercial and residential flat roofing. Commercial contractors will usually not work with a homeowner, unless your roof size is over 3000 square feet, or the contractor is really desperate for work. In the second case you should be worried as to why the contractor does not have enough work – is it just the bad economic situation or poor workmanship? Other flat roofing materials commonly installed today are PVC Roofing (and in rare cases TPO roofs), modified bitumen (torch down, mop-down and peel-and-stick type application), and in very rare cases, tar and gravel roofs. Although in commercial roofing, TPO roofs outsell PVC due to the price difference, you should be aware of the benefits that more expensive PVC roofs offer and potential massive TPO roof failures, which may dramatically change the flat roof market in the near future. If your contractor proposes to use “black rubber glue” or splice adhesive, kick them out of your house immediately! Black rubber glue breaks down twice as fast as peel-and-stick primer, and is much cheaper. Contractors that do use the splice adhesive either don’t know what they are doing, or want to sell you the cheapest roof possible! Modified Bitumen Prices – There are too many type of Mod. Bit. and at least 4 ways to install it, and it is too much to cover in a general purpose pricing guide. 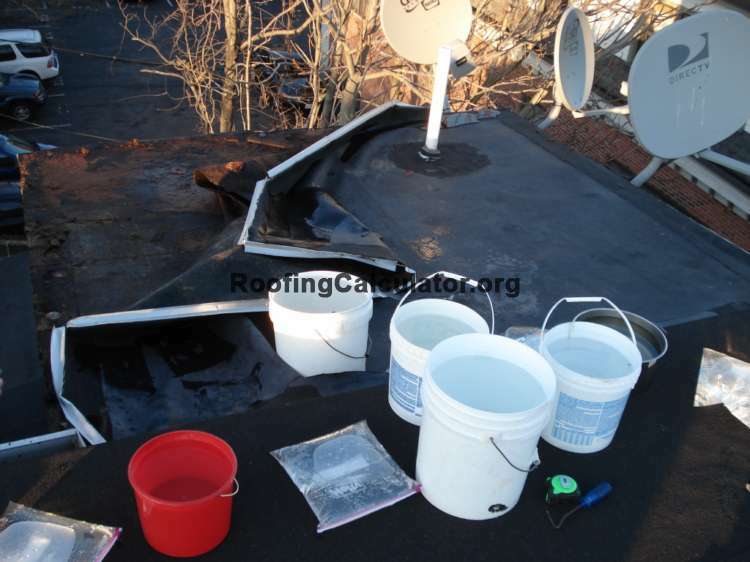 Essentially, Modified Bitumen is a torch-down installation and contractors installing it are usually more knowledgeable than those installing rubber roofs. 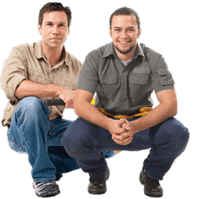 Still, you should definitely check that your roofer has full liability insurance, as it is very easy to burn down the house when using the torch, and many roofers will not carry the insurance at all, due to very high cost. I would call the insurance agent / insurance company instead of just trusting the “certificate”, which can easily be expired. The cost to install a quality APP modified bitumen roof should be around $500-600 per square. PVC Prices – An average PVC membrane installation will cost between $650 and $900 per square, depending on the material you are using and the difficulty of your roof. Nominal (basic) thickness of a PVC membrane is either 45 or 50 mil, and you can go as high as 80 mil. Other specialty flat roofing products designed for flat roof decks, as well as chemically resistant PVC roofs for restaurants and industrial roofing can be purchased in a variety of thicknesses. We recommend you research flat roof prices to install IB PVC roofs, at CoolFlatRoof.com – you can also use CoolFlatRoof’s calculator to estimate roof cost in Massachusetts. You can also find local IB PVC roofing contractors listed at their green construction directory. Tar and Gravel Prices – Tar and gravel roofs are really outdated, and although some old-timers who still have a hot tar/asphalt kettle, will swear that their tar roofs have been in service for 50 years, face the reality – tar roofing is nearly extinct and there is a good reason for it – it is dangerous, inefficient, bad for your health and there are very few roofers out there who still know how to do it. The average cost to install a tar and gravel roof is about $550-600, and will vary greatly depending on current oil prices. The price of tear off is usually determined by the number of layers that you have on the roof, its weight, and local dump / recycling cost. In New England, it is normal to pay at least $80-90 per ton (2000 lb.) to dump construction waste, whereas somewhere in the midwest, it will be $10-15 per ton. An old tar and gravel roof can weigh anywhere from 400 to 800 lbs. per square, plus the cost to remove it. So you may have to pay on average $100-150/square, for the first layer and another $50-75/square for each additional layer of tear-off.